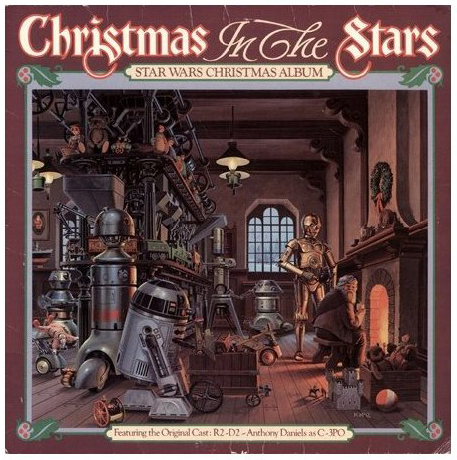 I usually save the Star Wars stuff for the Tumblr page, but this is just too amazing not to share with everyone… Behold, Christmas In The Stars: Star Wars Christmas Album (of course I’m buying this on vinyl). Produced in 1980, it features recordings of Star Wars-themed Christmas songs and stories about a droid factory where the robots make toys year-round for “S. Claus”.